It’s time to get organised and de-clutter before the festive storm arrives. We don’t just mean tidying up and storing things away, create a serene and tranquil home with cool and calm Lighting and interior colours too and give your home a refreshing spacious feeling. If you’re a neat freak and want a fresh canvas before the chaos of Christmas then think about cool and calm lighting, accessories, colours and finishes for your home. Any room in your home can benefit from this interior trend, calm the hustle and bustle of the kitchen by introducing soft wooden utensils and surfaces, calming grey and steel storage ideas against fresh white wood cupboards and white Recessed Downlights. Organic light wood accents in the dining room will create a serene experience during tea time so team alight wood furniture with light wood Easy to Fit Ceiling Lights for a quick calming update, then add accents of grey or duck-egg blue for depth and layering. A hallway can become very inviting for guests by adding simple grey and white accents. Give a touch of calming colour to the bedroom with more grey, lessen the organic wood and choose glossy whites instead. Layering is key for the bedroom so introduce grey and white scatter cushions and throws. Grey is the perfect antidote for a tranquil atmosphere and a tone that will blend seamlessly with many other vibrant colours. Team with rose pinks and oranges for a summer/autumn look or go for red and purples ready for the festive season. Teaming with green and blue can give a Nautical effect too. Grey can also be used as a stand alone colour creating a layered effect with lighter tones and then more solid darker tones which is great for creating a basic flowing colour scheme from one room to another. Introducing white and wood tones against grey will break up the block of colour and create a fresher more spacious feeling as well as adding an organic twist. Adding hints of natural wood and organic textures will create a calming ambience to this trend, using harmonious these finishes will create a serene setting for any home. 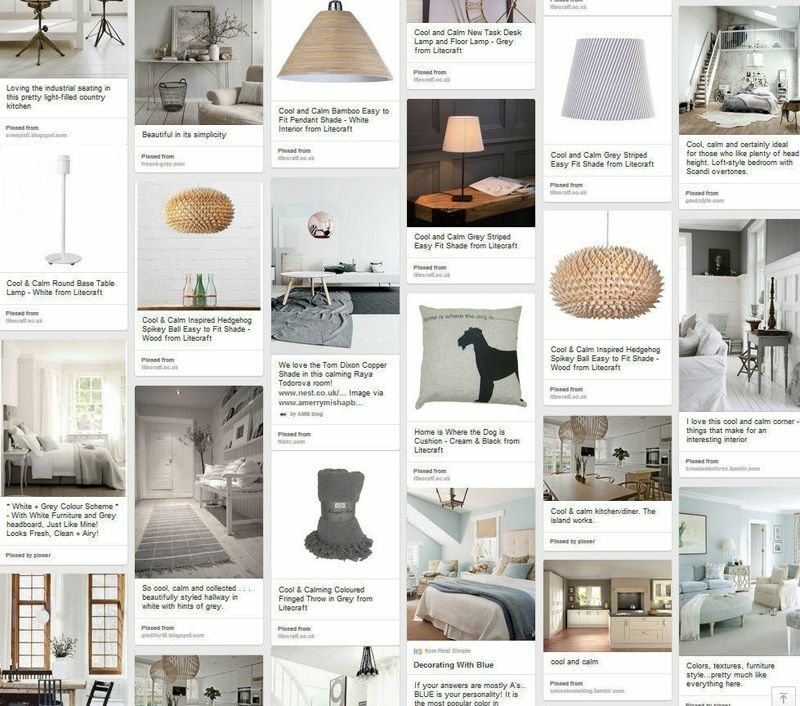 Try to keep to light and pale wood tones to compliment the rest of the palette. 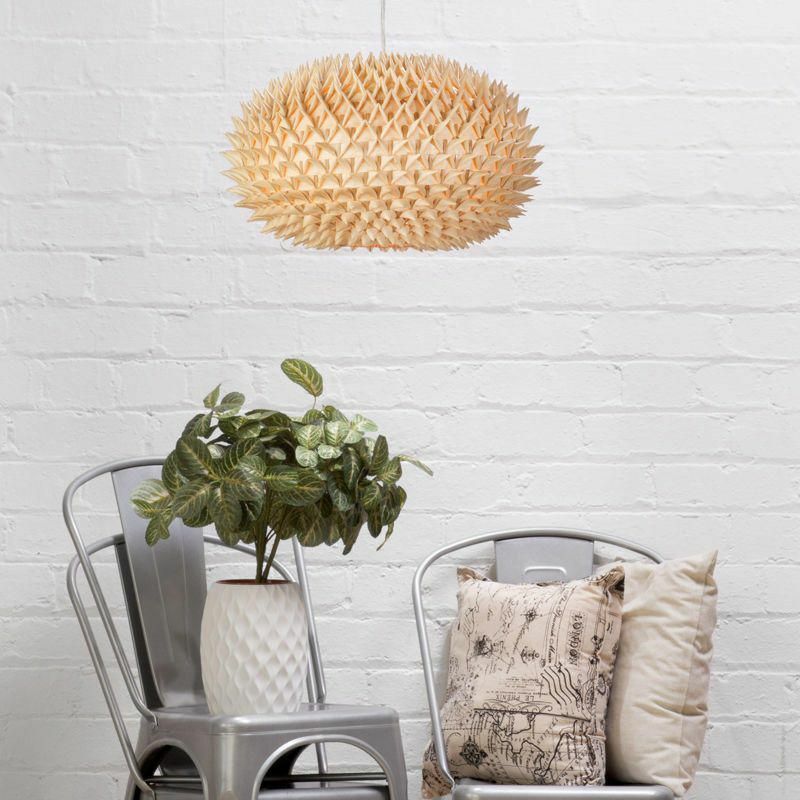 Our Hedgehog Spikey Ball Easy to Fit Shade – Wood arrived at Litecraft HQ late last week and we think it’s just the perfect addition to a cool & calm interior, featuring a light wood modern design of natural woven bamboo strips folded and curved to create a spiky shaped shade. The unique form is ideal for a contemporary interior but will also look great in a Botanical themed room. For an ultimate organic look double up and use our Hedgehog shade as a Table Lamp as well as a ceiling light, a reversible gimbal allows for this function. Below we’ve pulled together three looks incorporating cool and calm lighting and accessories to help you recreate this interior trend. Stripes have a unified appeal which is ideal for a cool and calm interior, choose grey stripes patterns in a white background. Our Grey Striped Easy to Fit Shade offers a simple and tranquil addition to any room. Place on a side table at the entrance of your home to create a welcoming ambience whilst also lighting up forgotten areas. Our Fringed Throw in Grey is perfect for the colder months but can also create a cosy layering effect for the home if draped on the side of an arm chair or rolled up and placed on a shelf. Our new white Bamboo Easy to Fit Pendant Shade’s simple lines and clean glossy interior fits in perfectly with the cool and calm look, giving an uncluttered and unfussy finish. Team this with a tripped back light wood dining set to add to the lighter palette. Our second look is finished off with our Nivian Glass Table Lamp – Smoke Grey, showcasing a simple bulbous base in a smoky grey finish, this look is classy and unfussy. 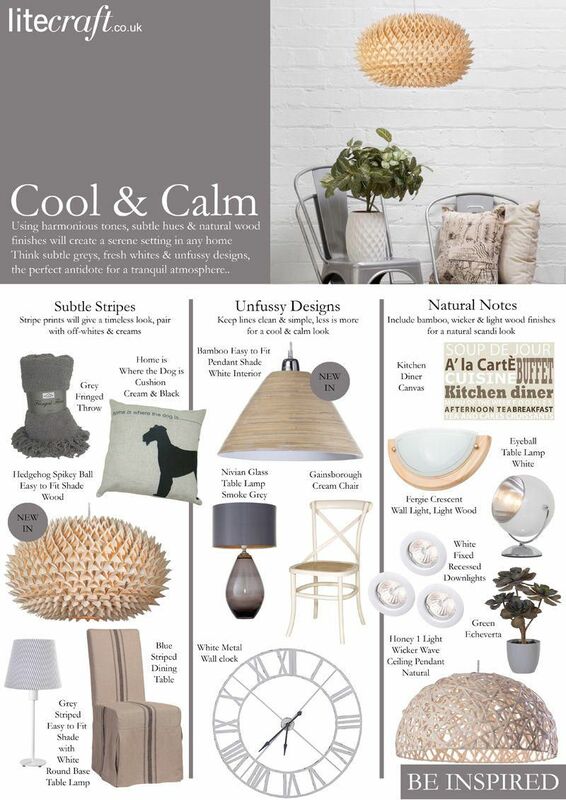 We chose our Botanical inspired Honey 1 Light Wicker Wave Ceiling Pendant in Natural as the focus for our third look. Adding hints of bamboo, wicker and rattan can create a hint of scandi into your home, scandi is very relaxing, laid-back and natural, the perfect combination for a cool and calm interior. In keeping with the light wood element we chose our Fergie 1 Light Uplighter Crescent Wall Light in Light Wood, featuring an opal glass shade against a light wood frame this simple fitting will offer a diffused ambience as well as giving a natural touch to your room. 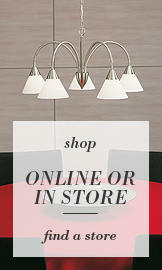 For a warmer chestnut palette choose our Fergie 1 Light Uplighter Crescent Wall Light – Dark Wood.